We chat to the South African singing sensation, Toya DeLazy, who hails from KZN and has big dreams for her career! 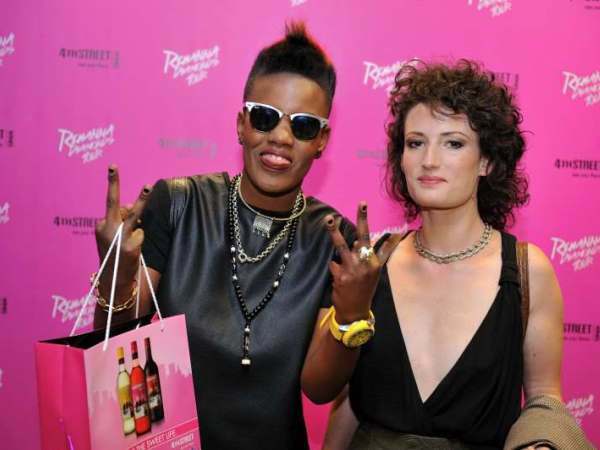 First up, we have to know: is Toya Delazy your real name? No, it’s Latoya Buthelezi, but that’s a pretty long name. I wanted to shorten it a bit so I played around and got Toya Delazy. You exploded onto the music scene. How did you get your big break? Music has always been a part of my life and I knew I wanted a career in it. I started performing and one day this local producer, Markus Els, heard me singing at the Winston Club in Durban and invited me to record a few songs in the studio. That became my demo and soon after Sony Music signed me up. The rest is history. Your songs Pump It On and Love Is In The Air are huge hits. How would you describe your music? What’s the meaning behind Love Is In The Air? It’s all about finding love and that if you want something you can get it if your heart is in it. Where did you grow up and did you study music? I’m from eMahlabathini in KwaZulu-Natal but I travelled a lot growing up. I studied jazz piano at Howard College in Durban. What sparked your musical journey? From about nine I started playing classical piano and that was when I started composing music. You lost your mom, Princess Lethuxolo Buthelezi [the daughter of politician Mangosuthu Buthelezi], in a car accident in 2008. Was she supportive of your music career? She always supported me in everything I did. Unfortunately I only began singing after she passed away. The different situations I’m going through. I’m also inspired by progress. Doing something that works just makes me want to continue making an impact. Who would you love to do a duet with? Frank Ocean, he’s great. I’d love to work with him. You’re so busy these days, what do you do to relax? I like to just spend time with family and friends, have lunch together. I love cooking and shopping. I also love watching Modern Family. You’ve already got a signature fashion style. How would you describe it? I would say it’s a mixture of vintage and streetwear. I love feminine suits. My look is street smart and elegant so it works for every occasion. What’s your biggest irritation in life? I hate rude, ignorant people who make wrong assumptions. I also don’t like bouncers at clubs. I’m a big supporter of the Princess Mandisi Heath Care Unit in Ulundi. It’s a centre that cares for people with HIV and Aids. It was named after my aunt who passed away from Aids [Toya’s grandfather is IFP leader Mangosutho Buthelezi]. There’s also a new shelter in Durban that cares for street people and I often visit that. I want to travel abroad and share my music internationally. But more importantly I want to grow my following in SA. A lot of people know my songs from radio but I want to perform more gigs so people can get to know me. If you could tell your high-school self one thing, what would it be? I would say learn from every situation and stay true to yourself.